We have been mainly eating lettuce (and chard). The lettuce has done very well. 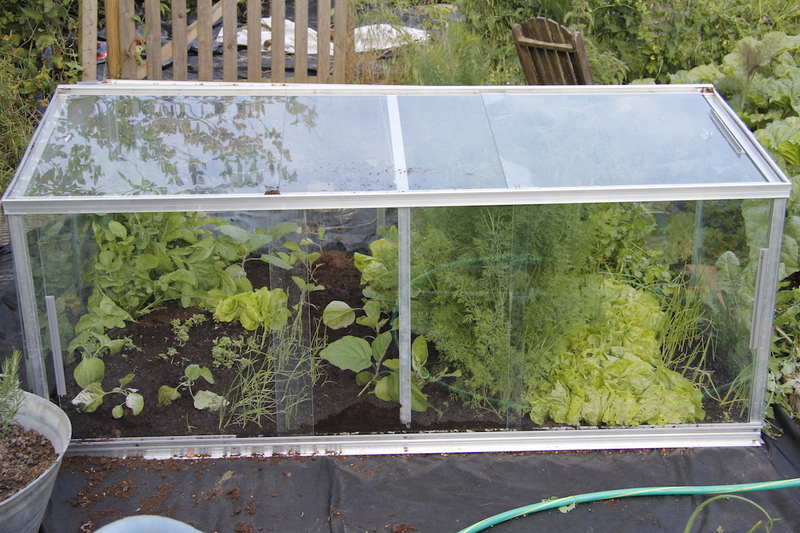 Juliet gave me lots of little lettuce seedlings (Webbs Wonderful) and I planted them in the cold frame. This has worked for us and we have been eating salad everyday. 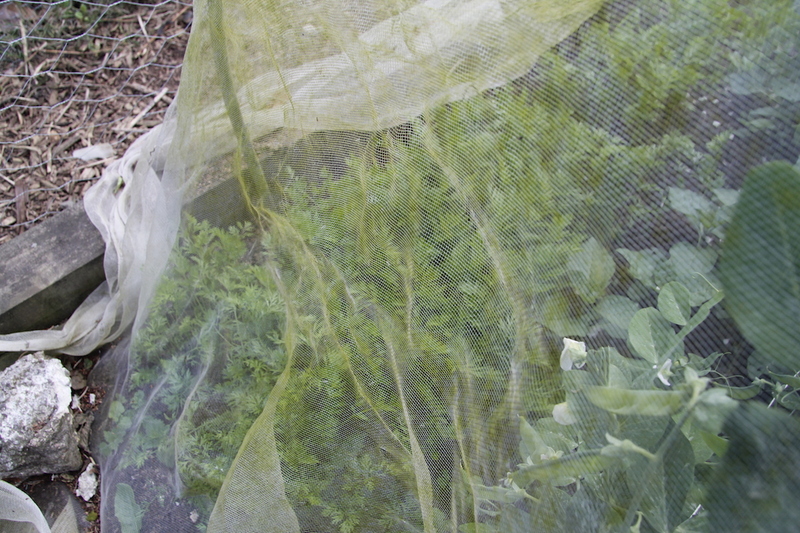 The dill and coriander have also thrived in the coldframe (as well as the greenhouse). I have planted some outside now so we will see if I have finally broken the jinx on my herb growing. 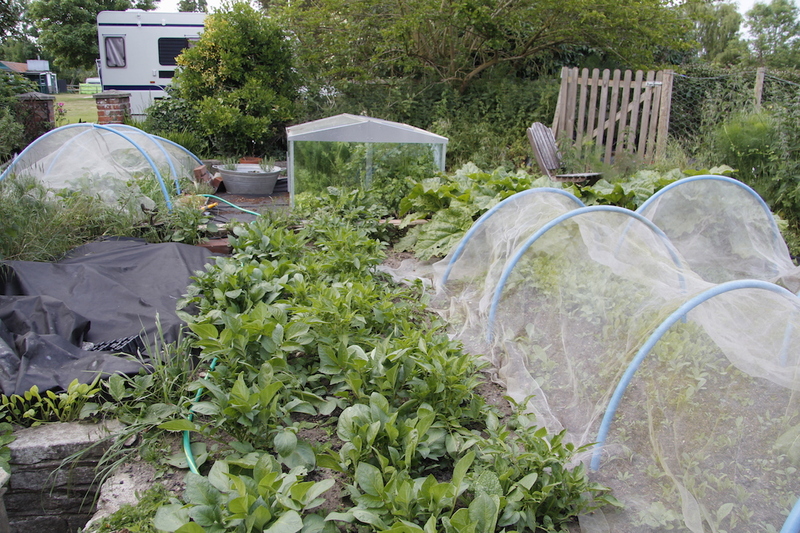 Slowly as we eat the lettuce and rocket from the cold frame I have been planting aubergines in the gaps. 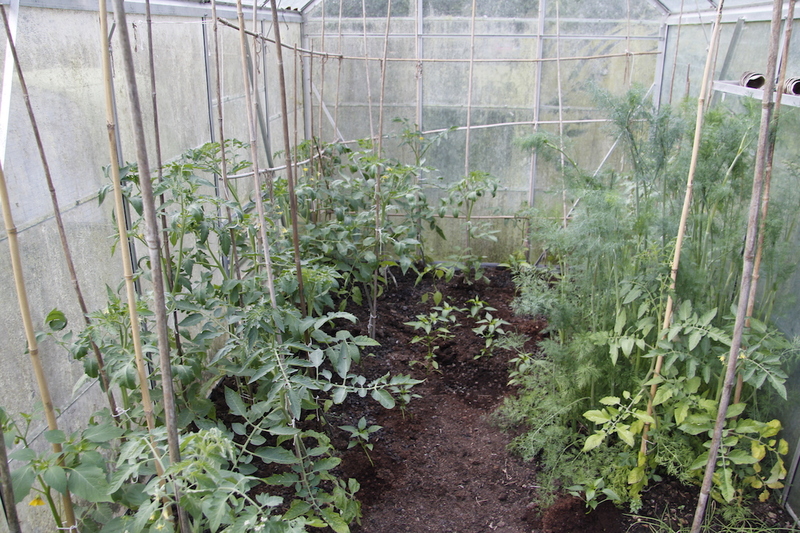 I love aubergines, but the fruit always rots when I grow them in the greenhouse so maybe the coldframe will be a better environment for them. 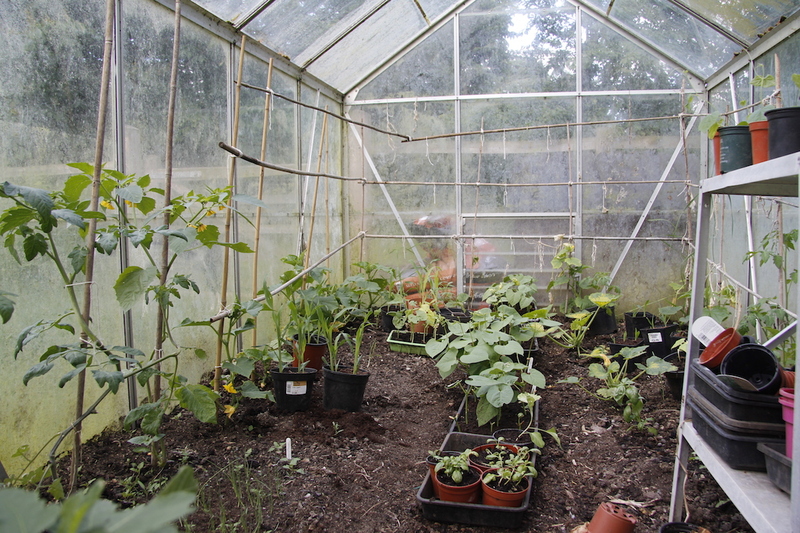 I also planted two courgette plants in the cucumber greenhouse in the hope that we would get some early courgettes. 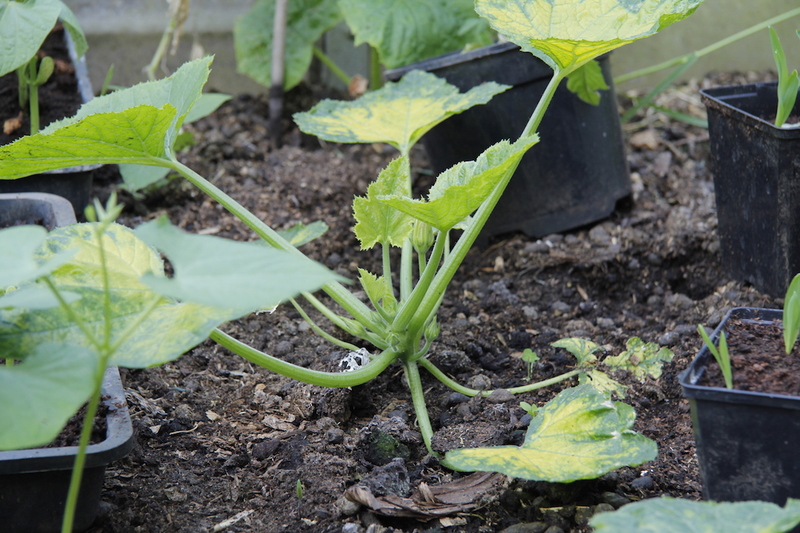 There are one or two very tiny ones growing – I miss courgettes. 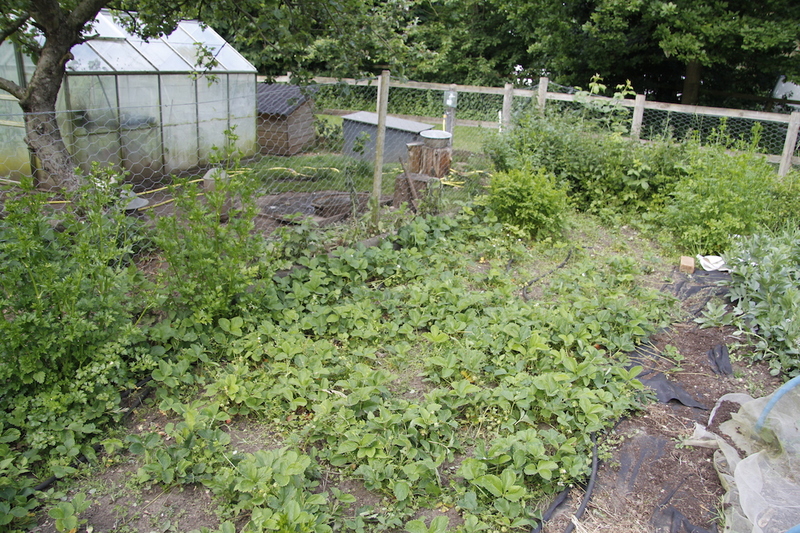 but I may have let the strawberry beds get completely covered in weeds. 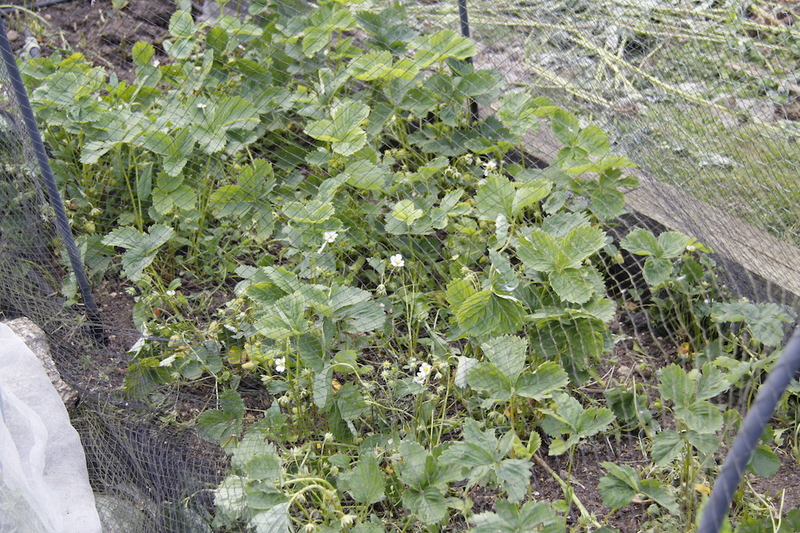 It turns out that this isn’t a good thing to do – they grow all leggy and don’t have many strawberries on them. I have given them a quick weed and will try and put straw – actually hay – underneath them at the weekend. We have had a few though. 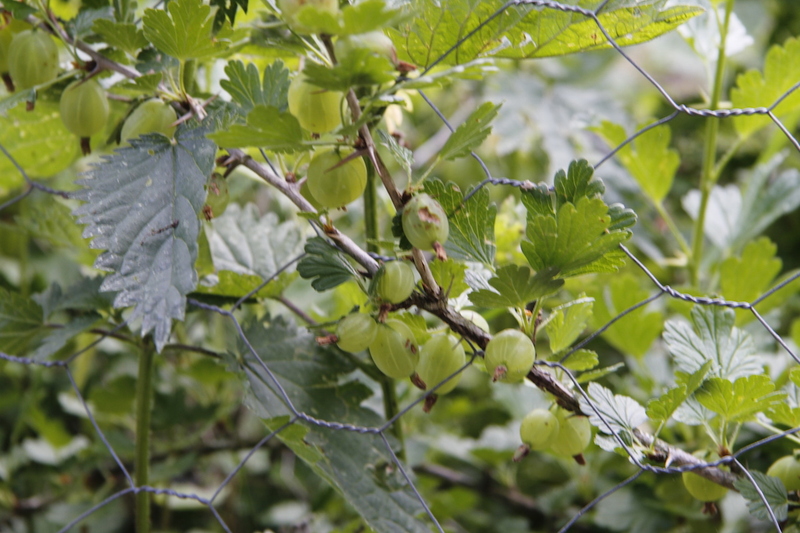 If we don’t get enough strawberries there are always gooseberries to eat. 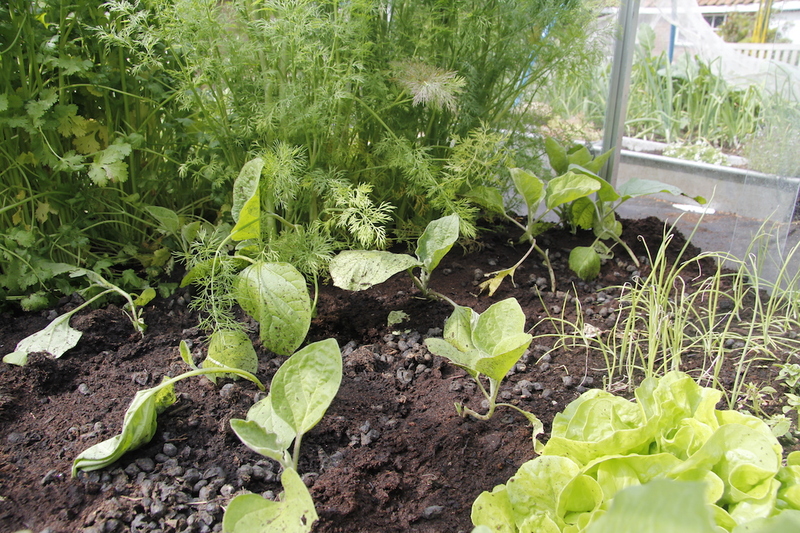 And the potatoes, new swiss chard and other salad stuff is starting to grow. Time to bag and sell your excess lettuce and rocket maybe? Or do you have to have a license to do this sort of thing?